Flows will be ramped up on the wind river to 2800 cfs soon enough. This means the streamer fishing on the jetboat is going to pick up! 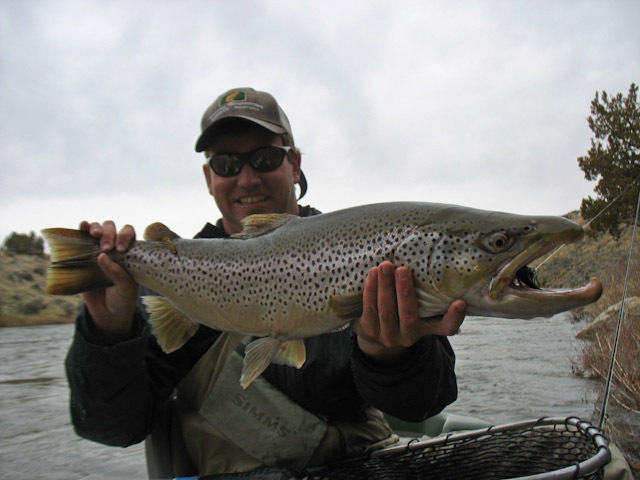 We have open jetboat dates for May and June which is prime time for the big browns and bows of the Wind River Canyon. Give us a call about our June Jetboat Special!!! Guide Steve Beaz got out with clients on Sunday and crushed them. Steve said the fish were very selective and he tried over 15 flies until he found the “ONE”. Only two boats on the river and after the boat show on Saturday it was a pleasant change. Midges were the ticket under the indicator fished in the soft insides of the runs. Fish seem to be holding in winter lies which means soft, boring water. We’ll be back on the river later this week. Get after them! fishing is hot right now! We have been busy out on the river this past week. Steve Beaz and Capt C. spent the week guiding on the Wedding of the Waters. 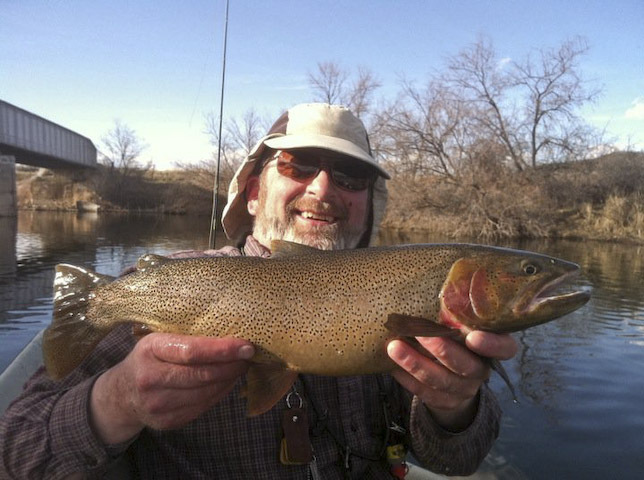 Midweek fishing has been the best with far fewer boats on the river. Wednesday we were the only boats on the river. Saturday was a boat show but the fishing was outstanding. We have been chasing the bobber until the fish are up eating baetis or baetis emergers. Dry fly fishing has been great even without cloud cover. However it is far better with cloud cover. Get out after it and you will be rewarded. 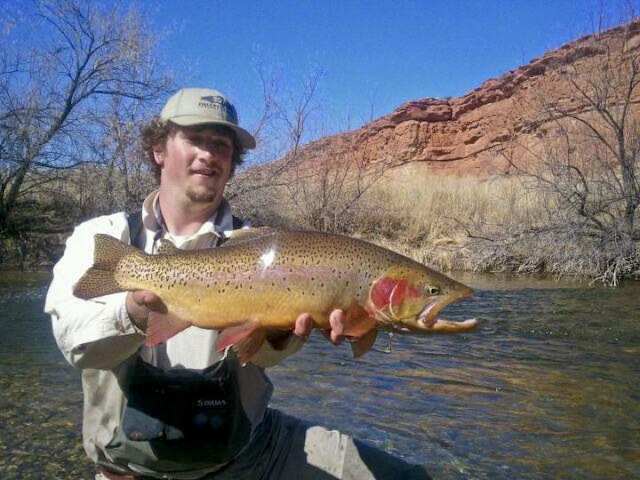 Give us a call at 307.438.0740 for your spring fishing adventure. 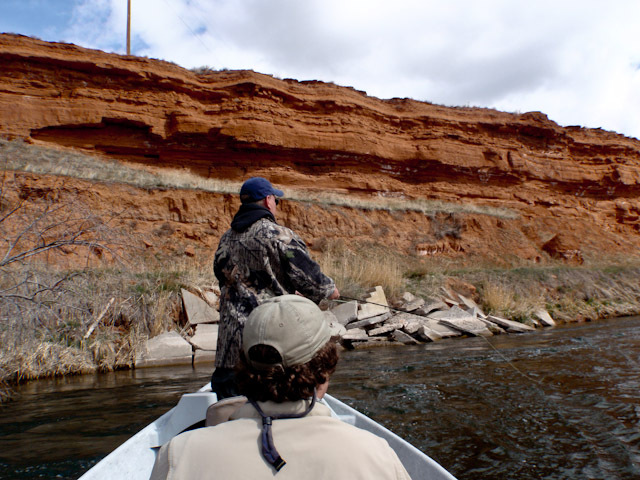 Another great week of guiding and fishing on the Wedding of the Waters in Thermopolis, Wyoming. This past week the Bureau of Rec bumped the flows from 800 cfs to 1260 cfs and then finally up to 5,000 cfs on the 5th to flush the river system. 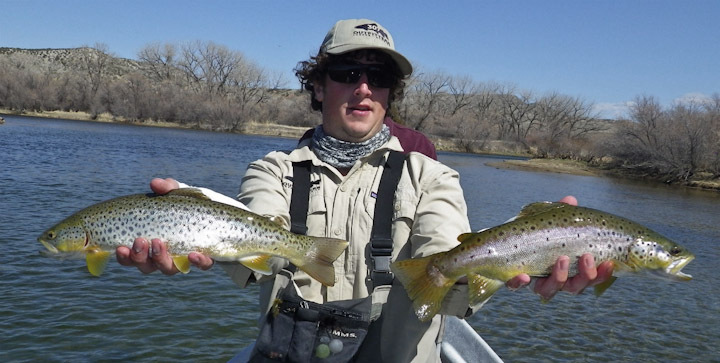 Fishing was lights out at 800 cfs with fish keying into midges and baetis primarily. We wanted to see how the flush affected the fishing yesterday so guide Steve B. and I did float from the Wedding of the Waters to 8th Street Bridge. Fishing was once again solid. Fish were in SOFT water and eating heavily. We did well on bloodworms, scuds, eggs, beatis, and midges. 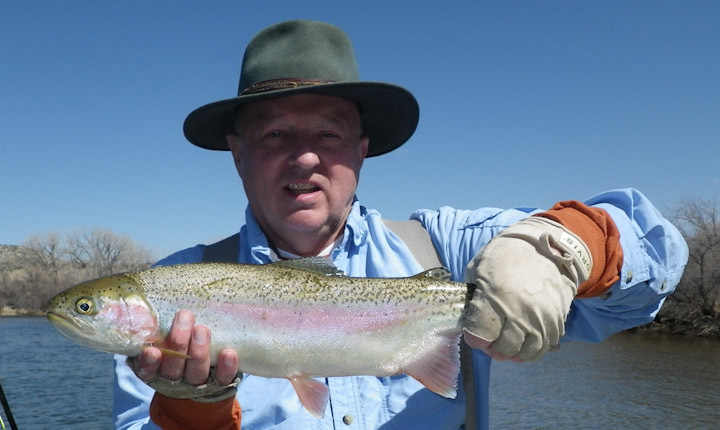 Lots of big fresh rainbows were out to play and take advantage of the large amounts of food coming down the river. Fishing will only improve as the river settles. Flows should remain at 1260 cfs for the month. Keep an eye out for rising fish as the BWO start popping more intensely everyday. Don’t forget out $350 Wedding of the Waters driftboat trips! Give us a call! You are currently browsing the 307 Outfitters blog archives for April, 2011.